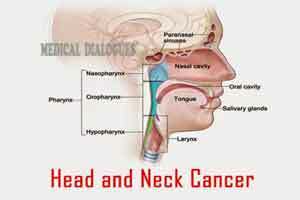 New York : Chronic sinusitis plays only a minor role in the development of head and neck cancer (HNC), reveals a recent research. “Despite the fact that people with chronic sinusitis have an increased risk for certain subtypes of HNCs, the absolute risk of these cancers is low,” said Daniel C. Beachler, Researcher at the National Cancer Institute, at Bethesda, in the US. Acute sinusitis is a common inflammatory condition of the sinuses often caused by viral or bacterial infections. The condition is considered chronic when the episode persists longer than 12 weeks. Chronic sinusitis may be involved in the cause of certain HNCs due to immunodeficiency or inflammation but not majorly, as recent research has found. It was earlier associated with the risk of developing HNC, particularly nasopharyngeal cancer (NPC), human papillomavirus-related oropharyngeal cancer (HPV-OPC), and nasal cavity and paranasal sinus cancer (NCPSC). The authors’ findings, published by JAMA Otolaryngology, suggest that sinusitis-related inflammation or immunodeficiency plays a minor role in the development of these cancers. For this study, the researchers used the Surveillance, Epidemiology, and End Results (SEER) Medicare database and included 483,546 Medicare beneficiaries from SEER areas, and 826,436 who developed cancer (including 21,716 with HNC). Most individuals were female (58 per cent) with an average age of 73. Most of this increased risk was limited to within one year of the chronic sinusitis diagnosis, as associations were largely reduced by one year or more after chronic sinusitis. All the three HNC subtypes had cumulative incidence of less than 0.07 per cent eight years after chronic sinusitis diagnosis. “The cumulative incidence of NPC, HPV-OPC, and NCPSC was less than 0.10 per cent after eight years of follow-up post a chronic sinusitis diagnosis,” Beachler said.